Lurline is a REALTOR® who takes pride in conducting her transactions in a professional and friendly manner. Aware of the need for precision in the real estate business, she goes out of her way to personally give special attention to details. Lurline is known among her peers and clientele for her enthusiasm, creativity, as well as her great work ethic. 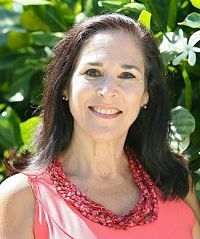 Born and raised in Hawaii, Lurline graduated from Maryknoll High School and went on to receive a Bachelors of Science Degree from the University of Hawaii. She has been in the sales and marketing arena for over 23 years, including working as a Marketing Rep in the Bay Area of San Francisco in the early 90's. Lurline's husband, James, runs his own maintenance and repair company and as a result, Lurline has gained an extensive knowledge of the handling of home repairs. Among her specialties are estimation, repairs and the creative areas of home decoration and renovation. Enjoying quite an extensive schedule, some of Lurline's enjoyments include walking her dog - Kula, tidepooling, reading and watching old movies. They also have several nephews and nieces who can't get enough of "Aunty Lur and Uncle Jimmy". Hawaii is such a special place, and the lifestyle unique and precious. Lurline feels blessed to be able to work and play in such a wonderful part of the world where she can continue to help her clients secure a little piece of heaven!